We hope you're enjoying this last month of summer to its fullest while preparing for busy back-to-school season. With an estimated 1 in 10 children being lactose intolerant, back-to-school meals and snacks can put parents to the test. Recipes like Oven “Fried” Chicken Strips and Homemade Ranch Dipping Sauce, give kids and parents an education in tasty, nutritious options that won’t cause tummy aches. “If you suspect your child is lactose intolerant, you should talk to your pediatrician before making any dietary changes for a complete evaluation,” Koff adds. 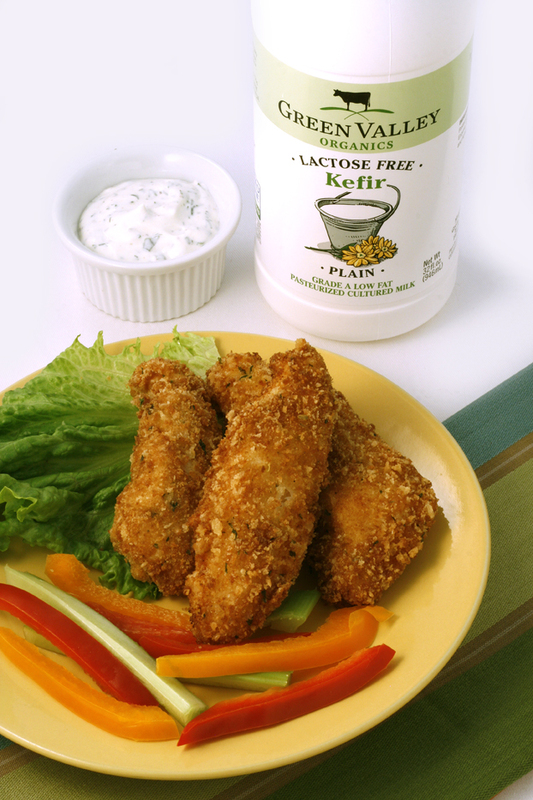 The good news, according to Koff, is that there are delicious, better quality dairy options that are lactose-free and gluten free, like lactose free yogurt, kefir and sour cream, to use as simple swaps and versatile recipe ingredients in kids’ mealtime favorites. For easy meal tips with all of the great taste and health benefits of real dairy but with no lactose, check out http://www.prweb.com/releases/2011/8/prweb8684951.htm and visit www.GreenValleyLactoseFree.com for more lactose free recipes. Also, be on the lookout for a fresh new look from Redwood Hill Farm, the best-selling goat yogurt in the U.S. since its introduction in the mid-80's, now made with organic fruit at no extra cost. On the new product line packaging, “Camellia,” the Bice family’s beloved Saanen goat that’s been featured on Redwood Hill Farm all natural products since 1978, is contrasted against a rainbow of vibrant new background colors complimented for the first time by original, hand-drawn illustrations of the sweet, luscious fruits and high quality ingredients used in its products. Other updates include a new logo for Flourish®, the company’s custom blend of 10 live active probiotic cultures that promotes optimal digestive and immune system health, now featured on the front of Redwood Hill Farm kefirs. Packaging for Redwood Hill Farm artisan goat cheeses is also in the process of being updated.